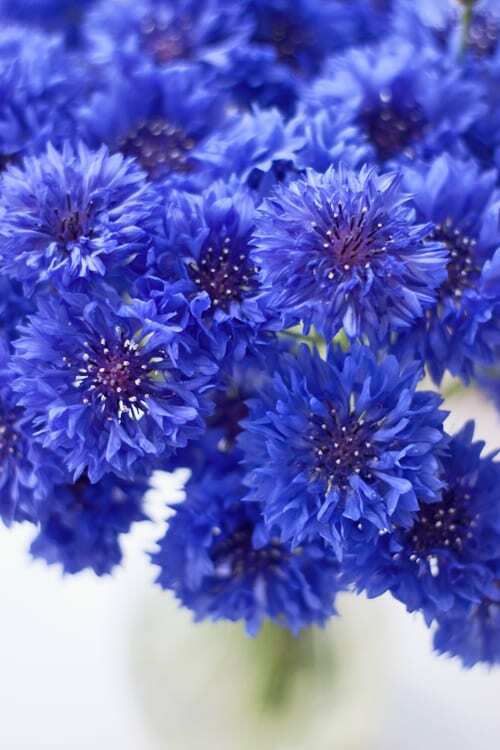 I thought I’d start off the week by taking a look at a striking, blue summer bloom…the cornflower. The ones which I’ve captured for today’s blog post were very kindly given to me by David from D G Wholesale Flowers at New Covent Garden Flower Market in London. The Latin name for this particular variety is Centaurea cyanus. And they’re named after Chiron the Centaur, the Greek mythological creature famed for his healing powers, as some species of Centaurea are said to have been used to treat wounds. 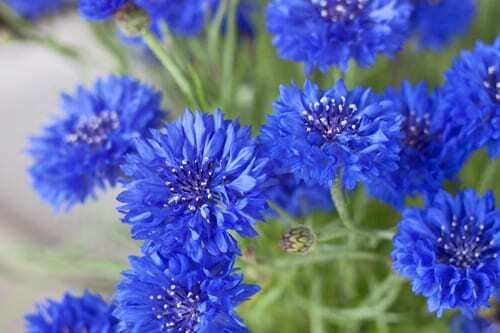 Cornflowers are also known as Bachelor’s button. In folklore, they were worn by young men in love. If the flower faded too quickly, it was taken as a sign that the man’s love was not returned. You’ll not only find these blooms, with thistle-like flower heads, in this vivid shade of blue. There are also pink, deep burgundy and white varieties. And their main season is May through to October. 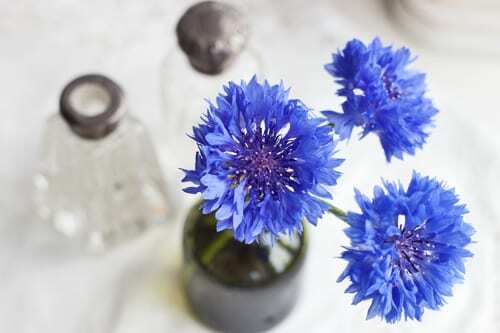 So why not buy some cornflowers to add a pop of colour to your home this summer? They look wonderful ‘en masse’ in a tall cylinder vase. P.S. In the ‘Language of Flowers’, they signify delicacy and refinement.